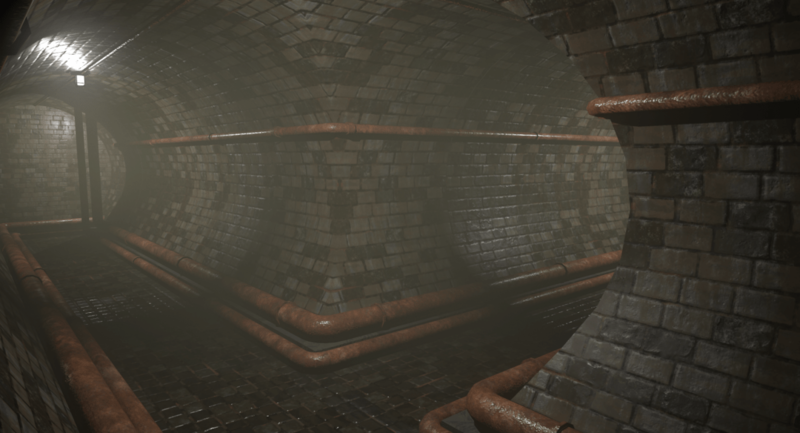 My modular Sewer Tunnel is now available in Gumroad for Unreal Engine. 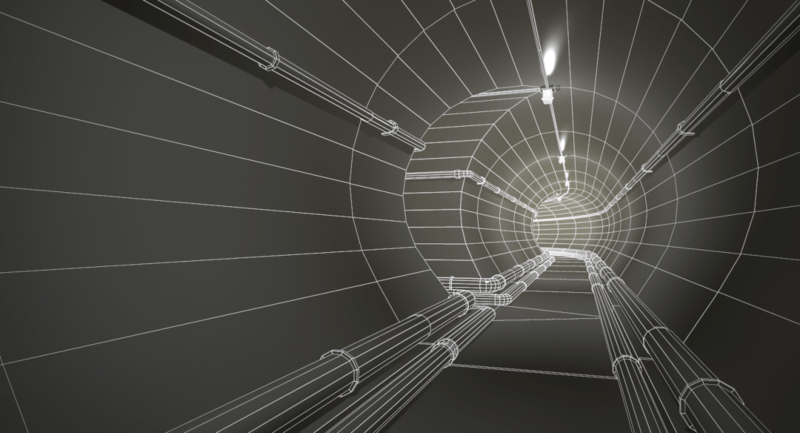 The tunnel pieces snap seamlessly grid with tiling textures. It was quite fun to test this in the engine with automatic collision. Lightmap UVs are set for each modular pieces, so there should be no shading issues even with lower values in Lightmap resolution settings. 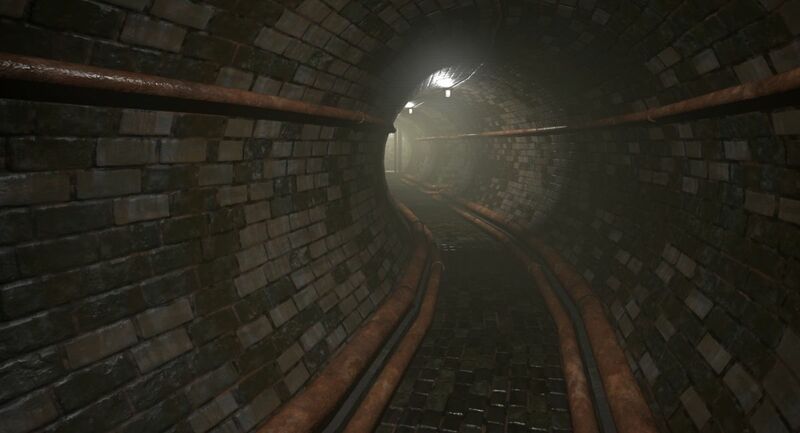 So many asset makers ignore this step resulting in poor lightmap UVs and unoptimized result. Lightmap UVs should be as continuous as possible and non-overlapping which may not be not what one wants to do with texture UVs. I am thinking to expand this by making X section as well. I have been away for quite a while. I got quite much stress from doing Youtube videos and I started feel a kind of crippling loneliness. So I needed to have a break from all this, for a while. I have been doing photography quite a lot these days, but now I am finally ready to return to the three dimensional scene. I will be doing new Youtube videos soon about 3D graphics and new stuff. Please stay tuned and feel free to subscribe to my channel. For some reason I am getting “Comment failed to post” when I try to reply to the comments in my youtube channel. This is quite annoying. I will reply to your comments as soon as I am able to. 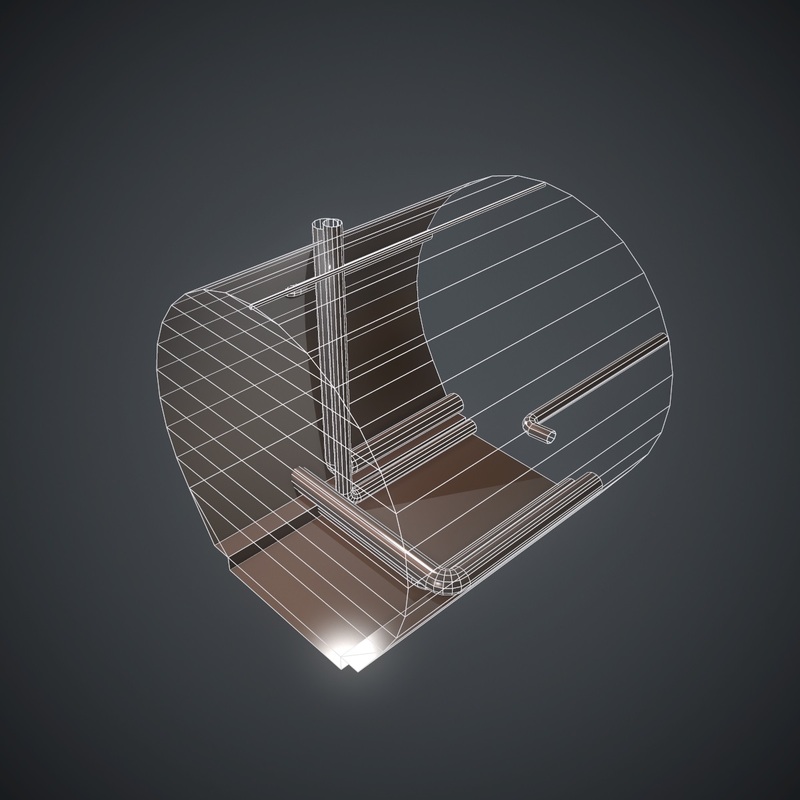 I got recently task to create game asset for German company’s game Beam the Mechanics. I’d like to take a look at the asset workflow in this video. I recently started relying on NAS (Network Attached Storage) for my work and pretty much whole life. I can’t say how much easy and streamlined and also economical my life has became. I wanted to make a list of 5 reasons to use NAS. Now, I am what you would call a heavy user. I do music, CG graphics, photography and movies digitally. I own several computers. Having my media stored in one central location is a huge organizational benefit, but also this streamlines my workflow and also backup. I use nothing but SSDs in my work machines. My Lightroom photo library is now living on NAS; setting this up was way more straightforward than I expected. I can also now keep all other computers turned off or in sleep mode, and only use the one that’s turned on as the work files are no longer scattered on the disks of workstations. Most of us have more than one device nowadays. The data we store can become quite huge. Having all your data in one place is a big organizational plus and makes managing and backing it up more simple. I am big fan of RAID1. I have had my share of broken hard disks over the years. But luckily no data loss since I always had current backup. It’s truth that hard disks, like all mechanical devices, break eventually. I always start with the presumption that hard disks are going to die, and I hope to minimize the downtime this will cause. RAID1 is a mirroring scheme where content is being copied simultaneously on two or more disks. If a disk dies, no problem. My QNAP supports hot swapping; there would necessarily be no down time at all; files would still be accessible at all times as long as the remaining drives work. It’s important however to remember that RAID1 is not a backup. There are still plenty of reasons why RAID1 stack could go bad, so it’s still important to have the data backed up somewhere else, preferably using offline device that is not connected all the time. With NAS this is very easy to do. My QNAP 231+ has automated backup features that allow the whole machine to be backed up on external USB 3 disk or other NAS automatically. This can be basically set-up and forget kind of deal and quite fantastic in my opinion. Absolutely definitely, please do use NAS hard drives in your NAS, not desktop hard drives. The dedicated NAS hard drives are designed for 24/7 operation and are more reliable for this purpose. We don’t need to buy Apple’s Time Capsule. NAS often supports Time Machine by default. If you have a wifi it’s possible to enable wireless time machine backups. And of course you can also backup windows machines to it. It’s great and it really works well. For advanced users there are also services such as RSYNC and some support incremental backups and versioning. My QNAP NAS came with a QNAPCLOUD service which allows me to access the files on the device over internet. This is huge feature. I can basically access any file now from anywhere if I need to. I have almost 3TB data now. Cost effective personal cloud service. NAS servers also offer several other features, such as media servers, email servers, web servers and such. Some of these can be quite handy even for home user. My NAS even has a virus scanning built in. If you consider investing into what’s just basically a backup solution, these all come as a free bonus. I would say that NAS is a very worthwhile investment. Whether you are a home user who has a lot of data or SOHO, I really recommend NAS for data management. This is one investment you will not regret. Getting used to using NAS can take a little time but most of the consumer type NASes have graphic user interfaces accessible via webpage. Opinion: Why I will switch back to PC? I made a prediction earlier in twitter that Apple will not release update to the Mac Pro. My prediction was right. Today’s keynote didn’t reveal exciting new upgrades to the iMac or the 2013 now considerably aged Mac Pro. Only update to the Mac was a redesigned MacBook Pro with Thunderbolt 3 ports and touch bar, a touch stripe that exists where function keys used to be. Oh man. I feel my relationship with Apple is like dating this girl who just keeps ignoring me, wanting to get rich and famous. No, I can’t see myself investing into Apple hardware in the future unless something changes. If a need for more powerful hardware arises in the future, I will invest into a PC workstation. I have used so many Apple computers in my past and I really was a huge fan of them. What I especially loved about Apple (and still love) is their support for typography and included fonts in the OS which are so very good. And I do love Unix and pretty much everything there is to that world, the included terminal app and so on. I have made my own unix programs too, and shell scripts which I rely on daily basis. macOS is elegant operating system, I still agree with that. It’s beautiful. And there are things like Time Machine which is fantastic. The whole experience has been so much better than Windows. So why would I switch to PC? It is because I feel like I have been kind of betrayed. Let’s start with software. What Apple did with Final Cut Pro or Aperture for example, really shows where their focus is. Their way of simplifying the software and dropping necessary features shows how they now care just about mainstream. Well, they killed Aperture and replaced it with this demo version kind of app that is even less featured than iPhoto was. Final Cut Pro is still a nice application but I don’t think editing 4K in it is realistic in it no matter what kind of Mac you use because of simply the hardware requirements. Almost all my video editing friends have switched to Premiere and so did I. I don’t think Final Cut Pro is suitable for professional use for a lot of reasons, mainly just the lack of customizability and plugin support, but also just mere lack of features. And if I am going to run Premiere, I so much more gladly do it with my PC workstation with Nvidia graphics card in it. The hardware and lack of powerful components is a serious problem for a guy like me. I do 3D graphics and I need serious horsepower to do my job. None of the Apple’s current offerings are enough. The lack of serious graphics option (and indeed, lack of Nvidia option) is a total deal breaker for me. 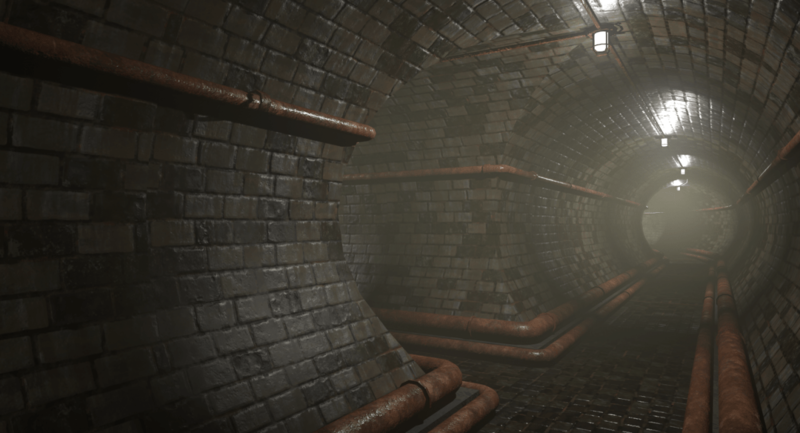 I rely on things like iRay, and baking large texture maps using GPU. But it’s not just that. It’s their mentality. And seeing how horribly bad the Music app in iPhone is, I start to wonder about the future of this company to be honest. (Try running Music app in plus sized iPhone and see what I mean. The UI is like elementary school student just learned to code HTML without CSS support). This is mentality is not good for me, no, not from Apple. Seeing Microsoft’s Surface Studio and what it means for graphics designers, it’s shocking what a pale shadow Apple’s keynote was in comparison. Only thing Apple really had to offer was the touch bar in the new notebook which otherwise don’t seem much changed form 2013. Microsoft’s announcement promised a real improvement in workflow for graphics designers and visual creators. Apple just added a new thing in what I consider to be a consumer device. Creators want to know that company is supporting them and making sure that our hardware and software works and meets our requirements. I don’t think Apple has any interest serve the needs of serious creators and professionals. Now that we are all hyped and excited about incoming ZBrush 4R8 and it’s 3D alphas (vector displacement), I wanted to take a look how we can take advantage of 2D alphas. This stuff is nothing new but I think it’s good to realize how we can create our own custom alphas and potentially save a lot of time when making high poly models. What I wanted to point out in this video is that if main use of high poly model is to be baked down to low poly and normal maps, everything doesn’t actually have to be 3D. Normal maps won’t be able to capture overhangs anyway, so basic hight detail is enough, and can even help with AO baking. Marmoset Toolbag 3 announced yesterday. I can’t say how thrilled I am about the new features. Marmoset Toolbag 2 has been my most used rendering app out there, hands down. I used it for so many different cases, whenever I needed to get my PBR model rendered for a client or preview it before throwing it to UE4. 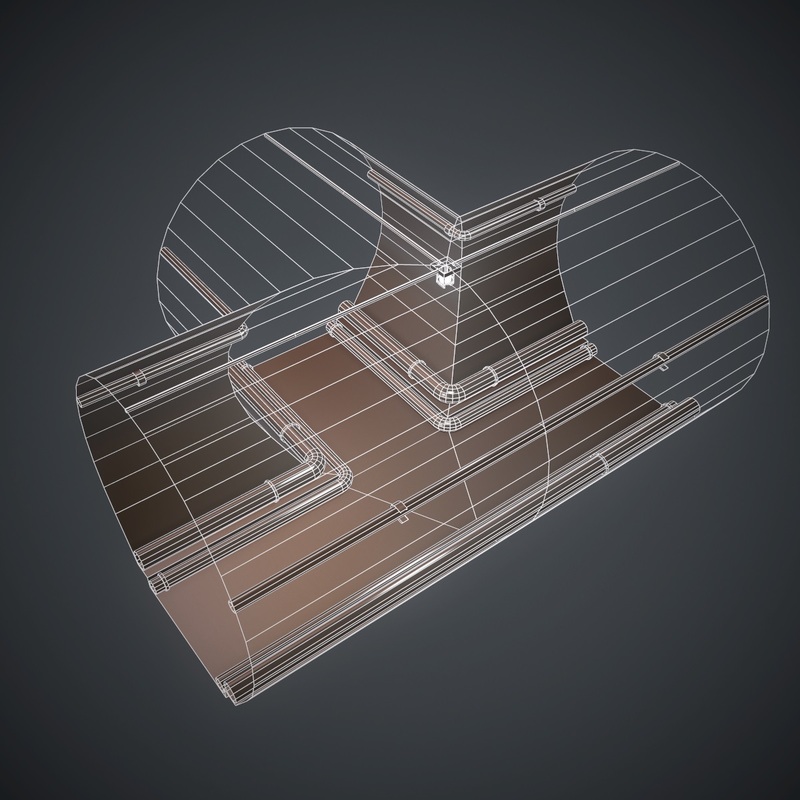 Having physically based materials on my fingertips and completely in real time has been a killer feature. Trying to render similar materials, especially reflection blurred metals in Lightwave has been a total pain with rather frustrating render times. How often I have wished that I could render actual animations in Marmoset Toolbag? 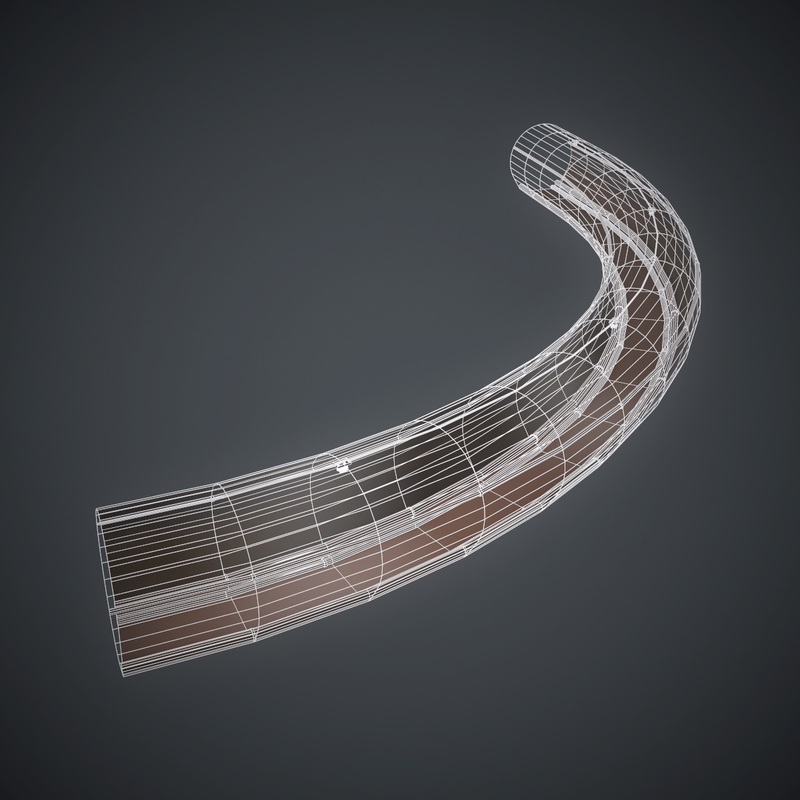 Well, good news folks, Marmoset Toolbag 3 will have animation and global illumination support! OMG. No, really. OMG! The ability to render more detailed animations in realtime is HUGE thing and something that will allow new level of detail and fidelity to our renders. Here is the insanely awesome GDC showcase https://vimeo.com/158273469 Wait are those particle effects?? Rigging? About the release date of Marmoset Toolbag 3, it seems it will come next month. I made a video about using a very useful UV_Creeper plugin by Pictrix, great developer here in Japan who have done Lightwave plugins such as PX_Bezier. Lightwave3D.com site has whole collection of their plugins and also you can find their stuff in their yummy! website which is completely in Japanese. 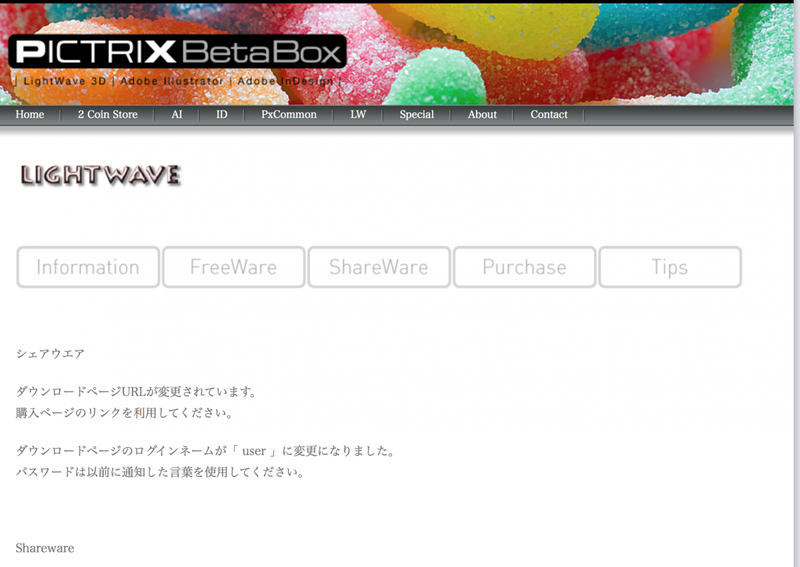 It’s great to see Lightwave plugin developers here in Japan. UV_Creeper is super simple to use and it gives near perfect and often completely perfect results on shapes like tubes or wires. You just need to select two points along a line, this will tell to the plugin to look a position for a seam. If the model has no modeling errors this will work. I have had problem of this crashing on models which had problems. If the plugin crashes, check your mesh. This is clearly hands down the best UV mapping plugin for Lightwave for this purpose. I have used this over and over again over several years now, texturing cables, handrails, braided wires, water tubes, tunnels and more and more. I will be doing more Lightwave plugin tutorials and reviews before Christmas this year, so please stay tuned. XFrog is having a giveaway in their site of 160 models in their samples page. (requires registration). I enjoyed downloading mine. These will be handy. It’s better to act sooner than later, as I doubt these will be available forever.